When we talk to people about purchasing their next (or maybe first) C-arm system, the question of cost is generally one of the first to arise. Already have a system in mind? Click here to tell us about your project and get a custom quote. Don't forget that the cost of your c-arm itself will only be a part of your total project budget. There are a few other costs you'll have to consider in accessories, safety equipment, health department approvals, and maintenance. 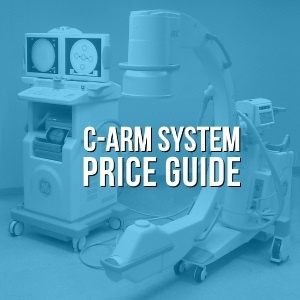 Access our free C-arm Buyer's Guide to learn more about those costs. And, as always, if you have any questions, feel free to contact us. Chris Sharrock is the Fluoroscopy Product Manager at Block Imaging. Sometimes referred to as the “The C-Arm Guy”, Chris has a passion for music, fitness and genuinely enjoys helping others make decisions about c-arms and fluoroscopy equipment. 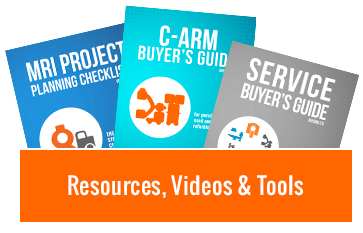 You can download Chris’ very popular “C-Arm Buyer’s Guide” or connect with him here.